Bad Cat raises the bar and offers an update on the classic Cub circuit. The all new Cub III features a switchable A or B valve in the first position pre-amp. You can select between 12AX7 or EF86 pre-amp tube by a toggle or foot switch. This new feature is drastically different sonically in gain structure, and character from any previous Cub models. We have added a selectable gain on the bass and treble tone stack to run hotter, or choose to stay in standard Cub mode. This feature can be used as a classic gain boost. Combine this with the EF86 pre-amp and now you’re in territory previously unavailable from older Bad Cat Cub models. We have refined the reverb circuit to get a deeper, fuller and more plate-like reverb. A two button foot switch is included. Button one controls the selection of the EF86 or 12AX7 pre-amp. 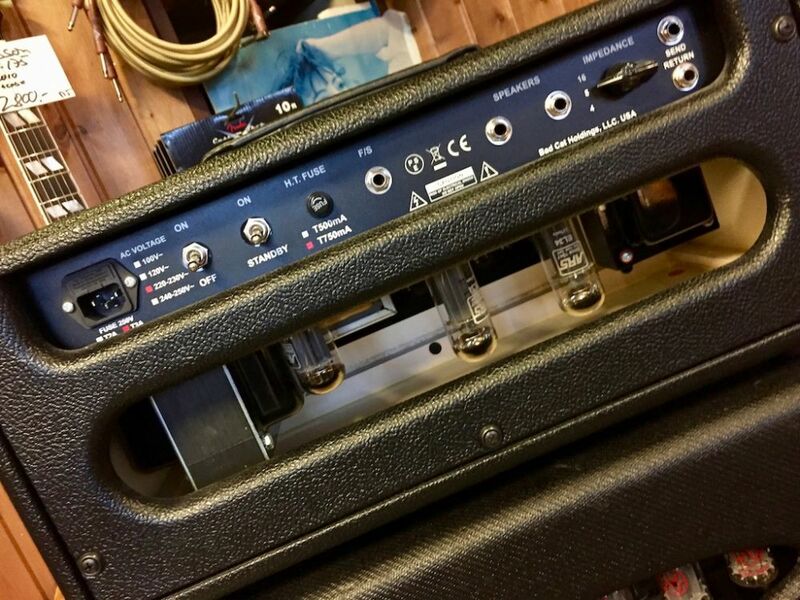 The second button offers the ability to punch in the added gain on the tone stack. With the foot switch you can go from chiming clean to crunch, and all the way to the wide open. Gain up the power amp section while leaving the pre-amp sparkling clean? Yes. Imagine getting a full 15 watts of clean headroom out of a 15 watt amp, or a full 30 out of a 30. Turn down the master volume to bedroom low all while maintaining your tone intact. Not only is this possible it’s also useful for guitar players. Now Bad Cat has figured out a way to separate the pre-amp from the power amp gain, and calling it the K Master®. Before this you couldn't drive the power amp hard without pushing the pre-amp into saturation. The K Master® patent pending technology has allowed us to re-invent the concept of the master volume. 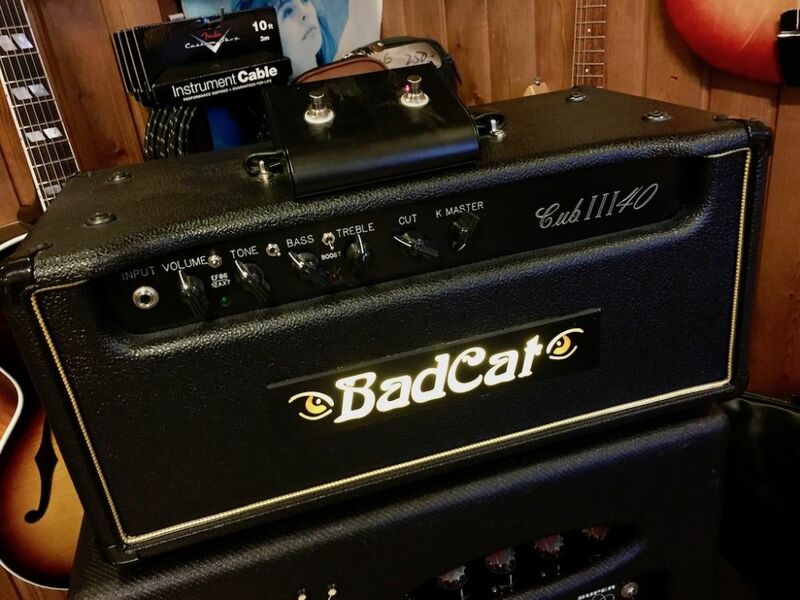 Bad Cat is now offering the K Master® in the Cub III Series.